Thunder's bush was damaged and was looking for replacement parts but it was not sold, but as an alternative I came up with a strong spring that I was using as a mold part of the press at a working-era company. The bush was perfect for hardness, diameter, length. This review is about item#07039575. This review is about item#7039146. I want to strengthen from the weak spring currently attached, purchase. We have many kinds of lengths we are using conveniently. This review is about item#07039164. I am using it to adjust the tightening of the roller of the crab squeezer. Because it can not be obtained locally, we are using all the monotalows at reasonable prices. This review is about item#07039855. I think that it was a little soft as there was no expertise such as spring constant. It is convenient to obtain professional and professional parts for affordable price. This review is about item#07039593. Although it is a client-designated part, it is saved because it can order from a small amount. This review is about item#07039706. This review is about item#07039952. Spring is spring. It is nothing other than that. This review is about item#07041851. As a reinforced item against the spring that was originally attached. The spring that was originally attached was too weak, so I was looking for reinforced goods. I tried to go around the shops in my neighborhood and purchased a powerful one, but because it was a tough place in terms of dimensions, the thick wire diameter got in the way and got in close contact and failed. 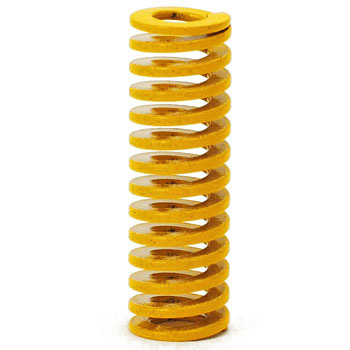 Moreover, even if it is incorporated near close contact, is it a spring that can be used tightly? There is no data on what kind of spring it is. It was a difficult place to exchange next time if I got organized once, and I was worried about hesitancy. Finally we searched on the internet and reached the spring and it was powerful, and it also stated about the dimensions and the amount of deflection that can be used, so we did not hesitate to purchase and we were able to replace it with a powerful spring. It will be a long time before the result comes out, including durability, but I think that we can not think any more. This review is about item#07039155. Both strength and size are outstanding. Because it is not sold elsewhere, many kinds are saved. This review is about item#07042402.